Reaching the milestone of my sixtieth birthday seems to call for some sort of wisdom sharing. One post I saw shared sixty things the writer felt important to share at sixty. The six things I will share have profoundly impacted my life and indeed make the life I choose possible. 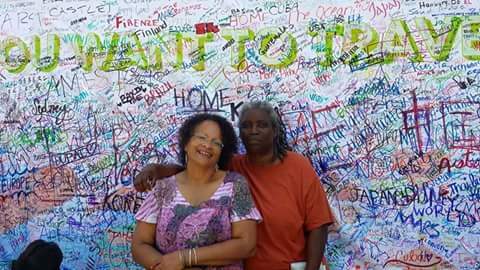 I feel they will be especially helpful to affirm as Kathy and I prepare to embark on our new life of “home free” world travel. The first truth is this this: THESE ARE ONLY MY TRUTHS. 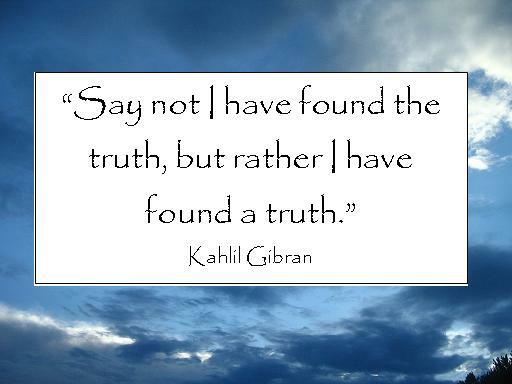 Kahlil Gibran says “Say not I have found the truth, but rather I have found a truth.” My perceptions, my ways of doing things, my beliefs are not the only ones nor the right ones. Remembering this makes me more respectful and tolerant of other’s views. It also makes me more open to new “truths”. A most valuable, if difficult truth is that PEOPLE ARE NOT WHAT THEY SAY, THEY ARE WHAT THEY DO. I have learned to accept that if our words don’t match our actions then our words mean nothing. Today I try to be a person who actions truly speak louder than my words. I am learning to watch the actions of others with love and compassion and accept them for who they are and encourage them to work toward who they say they want to be. A hard learned truth is that PEOPLE PLEASING IS FUTILE. Trying to please people is exhausting and after all that hard work it always fails. I spent much of my life trying so hard to be liked by everyone. The problem is that this left me no time to learn to like my self. This truth logically followed: CHOOSING ME IS NOT SELFISH. Somehow I got the message that saying no, practicing self care or doing things that I wanted to do was selfish. Letting go of people pleasing opened my up to the joy of choosing me. For today I try to say no to events, people or situations that do not serve my highest good. I spent at least one day a week in my pajamas doing exactly what I want to do. I move, eat and try to rest in ways that nourish my body and my spirit. A very wise woman gave me my last truth. WHEN I AM POINTING MY FINGER AT YOU, FOUR FINGERS ARE POINTING BACK AT ME. For today I am trying hard to judge less and love more. This includes being more gentle and accepting of myself as well as others. I am trying to leave judgment to those better qualified (God, the Universe). So, as I leave you with my truths (for today) I hope you find something helpful. It certainly helped me getting it out. After all, if you can’t tell your truth at sixty, when can you? Previous postRepositioning Cruise! Say What? Next postBOLT in L.A.: Treasures!